Growing up with parents working abroad, I somehow lost my sense of Filipino taste and settled with American comforts from burgers and fried food. 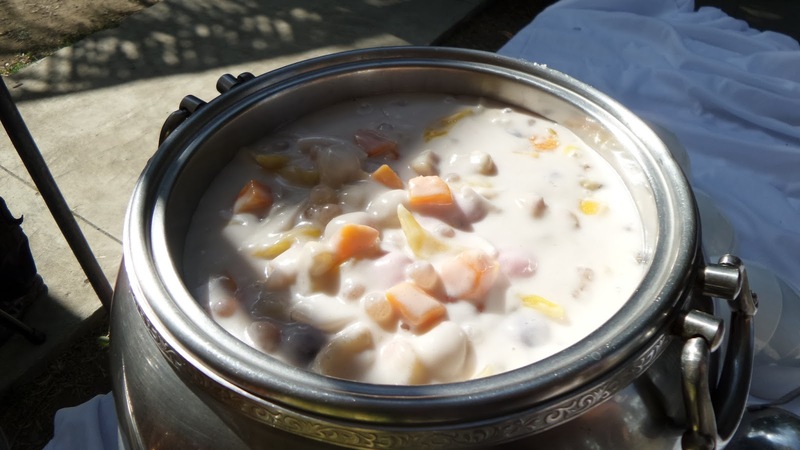 Though not realizing it, the Filipino way of eating (with this I mean eating with homemade dips also know as "sawsawan" and ensalada) was and is still practiced. However, like what Clang Garcia said, "the Philippines is a playground to savor a symphony of flavors." 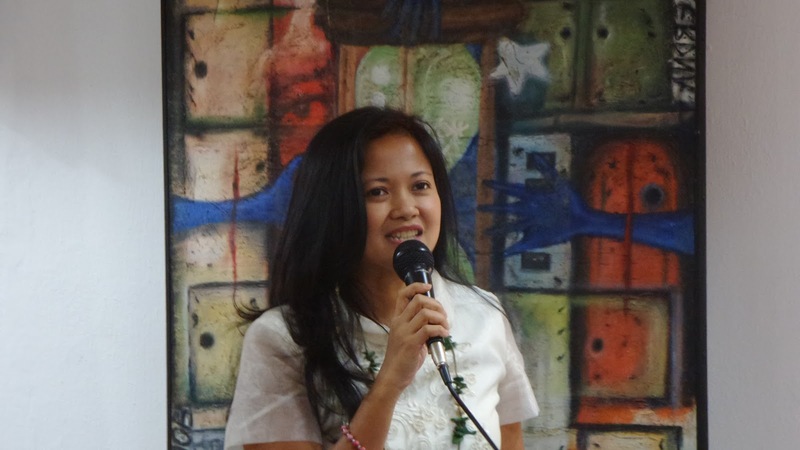 Ms, Garcia is the publisher of the new travel guide book FOOD HOLIDAYS PHILIPPINES and travel curator behind Jeepney Tours. When I got an invite from the Department of Tourism for the launching of Food Holidays I didn't hesitate and was I overwhelmed with the unusual Filipino flavors that was laid before us after the unveiling of the book. The event was possible through the organization of DOT Region IV-A led by Director Rebecca Labit. Through her that I also got a taste of what the said region offers. Do take time to read it at the links below. But before I flaunt about the gastronomic feast prepared for the guests, let me introduce what this Food Holidays is all about. Food Holidays is an informative and culinary travel guide which came about with the success of Madrid Fusion Manila. This is also a progeny of Colors Integrated Travel Media, Inc. which Clang Garcia spearheads. 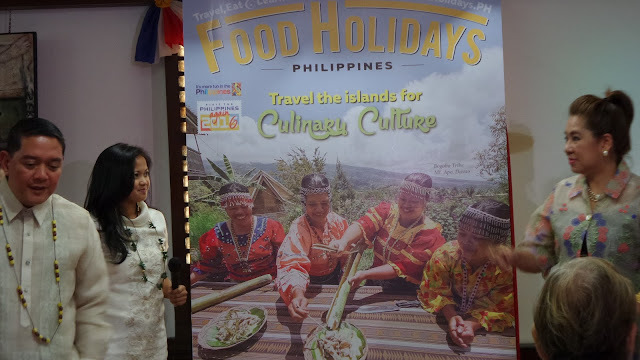 Together with the Department of Tourism, this is their way of celebrating the rich culinary heritage of our country which was given utmost highlight during the 2016 Madrid Fusion Manila. 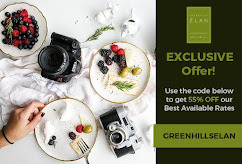 With collaborations from different food and travel writers, photographers and business owners who stepped up to the platter to share the most delectable leads and information. 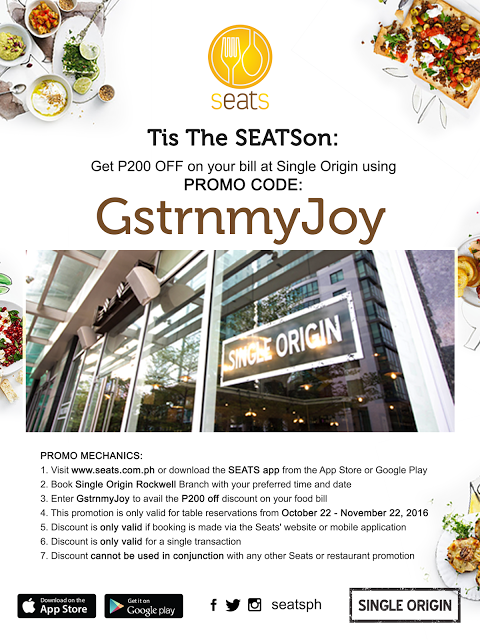 A dining guide from Manila, to the famous food destinations such as Binondo, Malabon, Cavite, Malolos, Pampanga, Rizal, Laguna, Quezon, Batangas, to Mindanao.and some Visayas region. Opening the pages of the book gives you a glimpse of what really makes a Filipino culinary and how colorfully diverse it is. 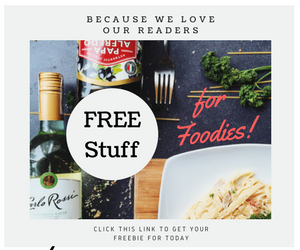 It is rich in words describing how history have formed our palates and penchant for savory dishes and sweet snacks and meal-enders. 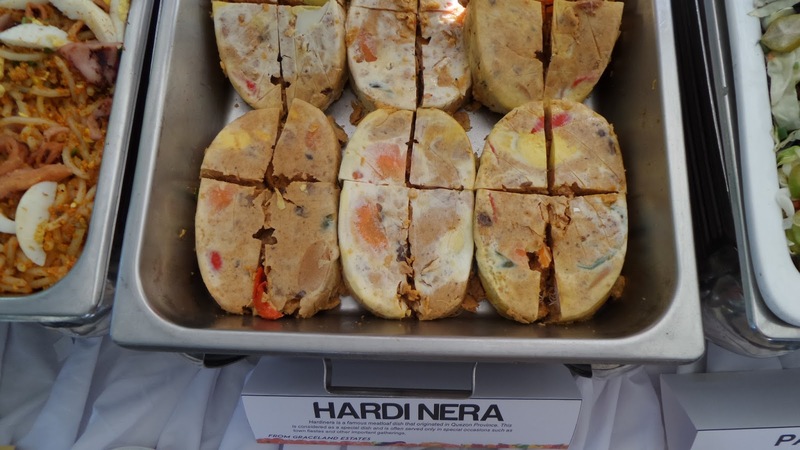 It is food tourism well-spoken off in colorful pages by staunch advocates of our heritage. 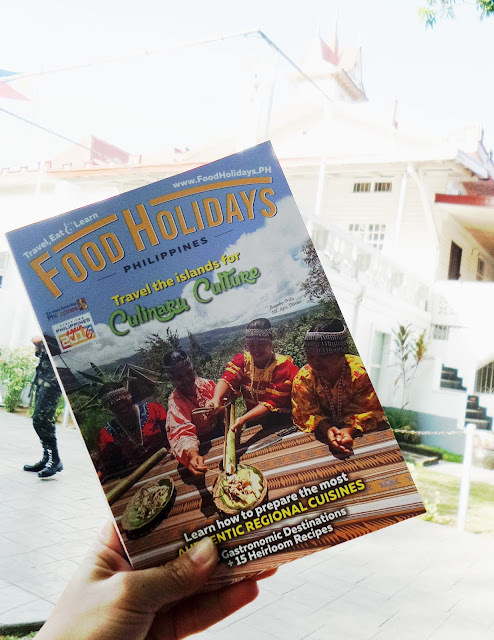 This can probably be your handy guide in exploring not just our country's food but also its culture, its opulent and scenic islands, its arts (and where to find them) and its welcoming people. Lastly, it also features heirloom recipes with a photo caption of how it's supposed to be plated or served. The event was held at none-the-less than the historic Aguinaldo Shrine in Kawit, Cavite, With a big chuck of colonial influence and being the center of the the galleon trade, which we now celebrate with 300 years of linkage with Spain. 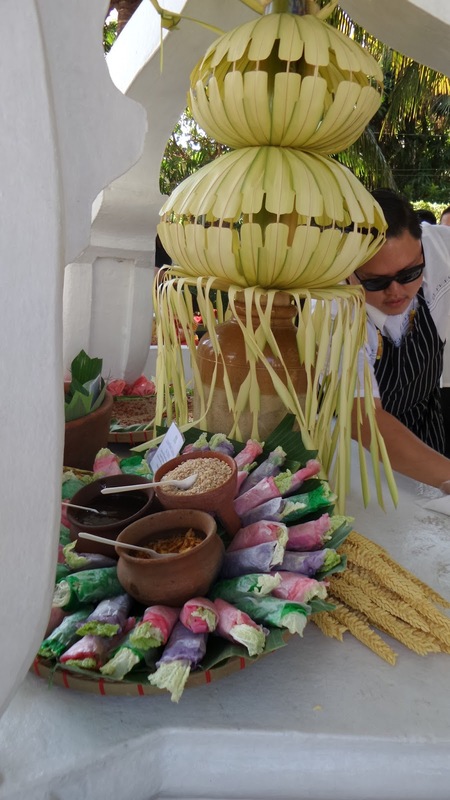 The venue was more than just a background, together with the event, it reflected how our culture together with culinary have transformed over the years since the time of Spanish colonization up to our trad-modern way of eating. 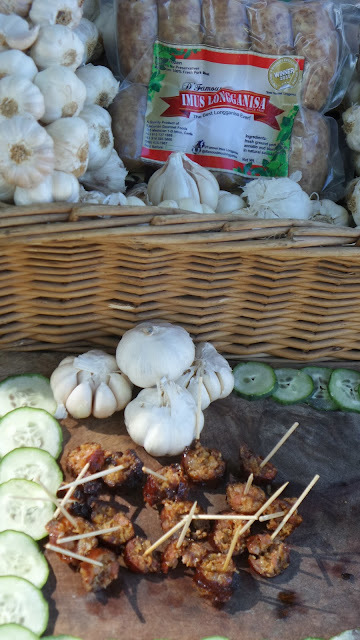 These were greatly reflected in the regional dishes that were presented both in the book and in the event itself. 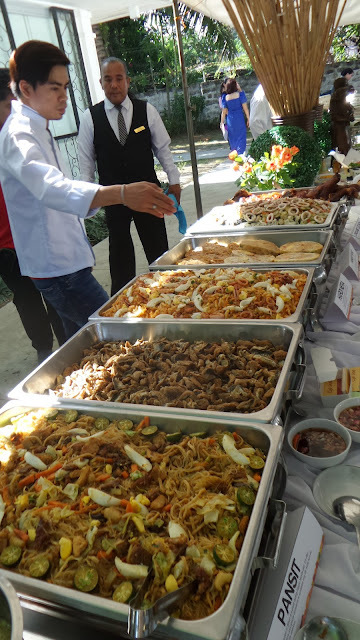 The buffet of all sorts of fiesta favorites have been set out in the grandest ways, though some in simplest and humbles way but delicious all the same. The number of kinds of pansit I have regretted not counting, and yes, I had a hard time going to sleep thinking that I wasn't able to taste them all was just astonishing and these were from famed foodie destinations such as Balaw-balaw, Nemiranda's Cafe, etc. 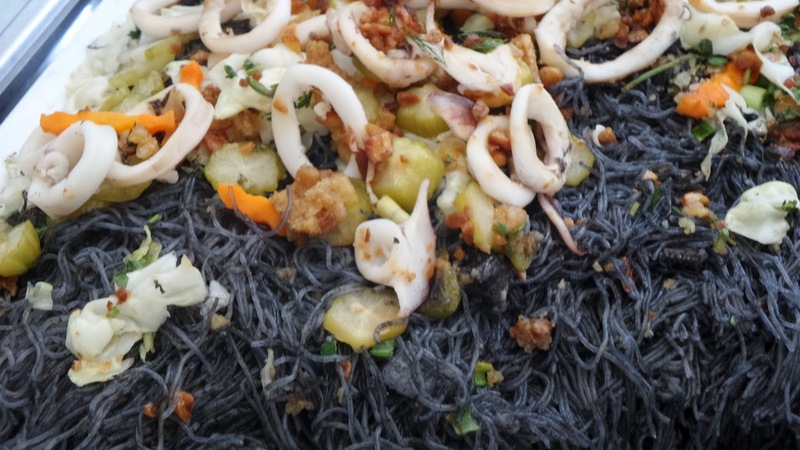 I really fancied this Pancit Pusit from Asiong's Carinderia. 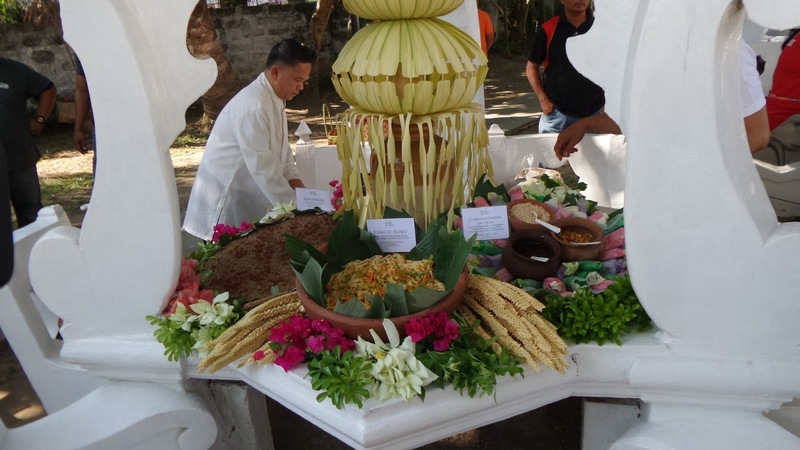 And also Pansit Buco from Villa Escudero Plantation and Resort. Villa Escudero really showed how multicolored their culture is with their display of their contribution, as what Pahiyas Festival is all about. 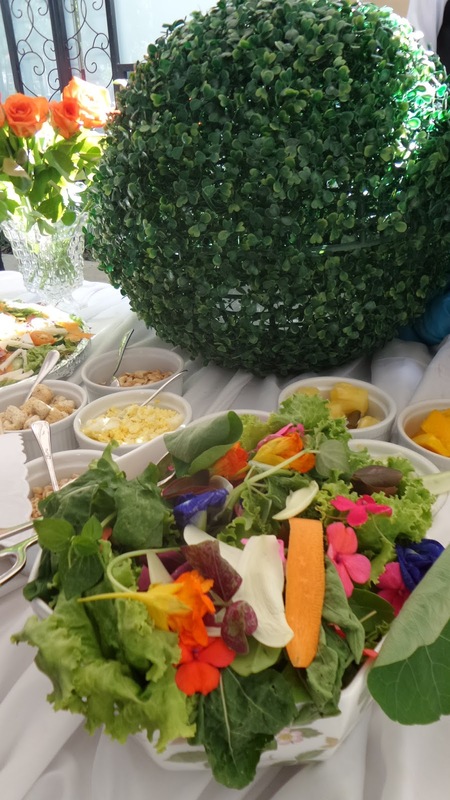 Had another colorful dish with this salad with edible flowers and some pastries from Sonya's Garden. 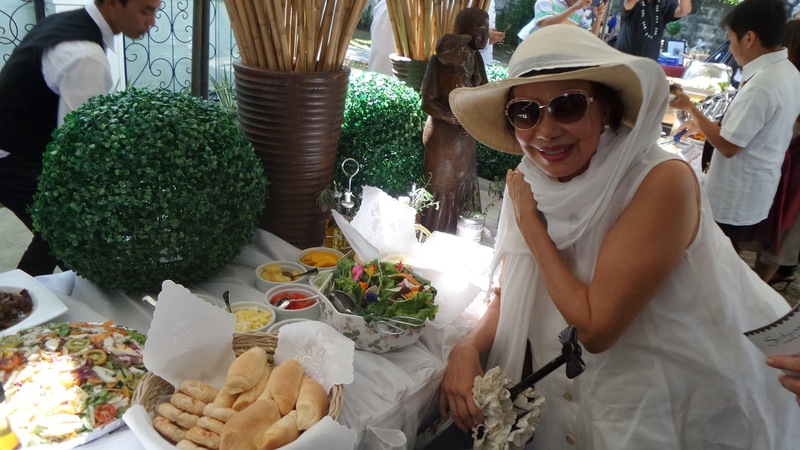 Miss Sonya Garcia of Sonya's Garden posed gladly beside her table set up. The only lechon which everyone lined up in haste was also another star of the buffet. 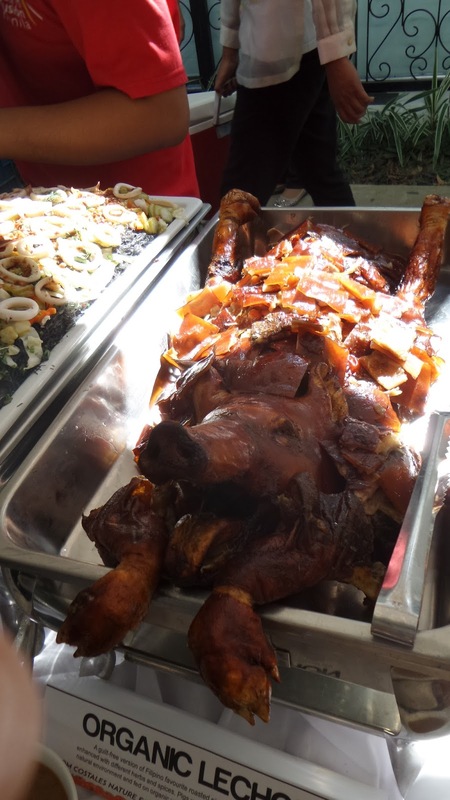 The roasted pig was oranically grown and cooked by Costales Farms in Quezon. Another Quezon dish I loved and have always wanted to cook at home is the Hardinera, glad that they have recipe of it in the book. 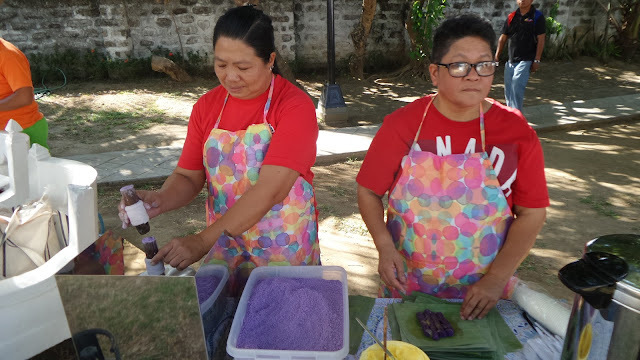 And how can I forget the best Ginataang Halo from Cavite, Suman and Biko or Sinukmani? 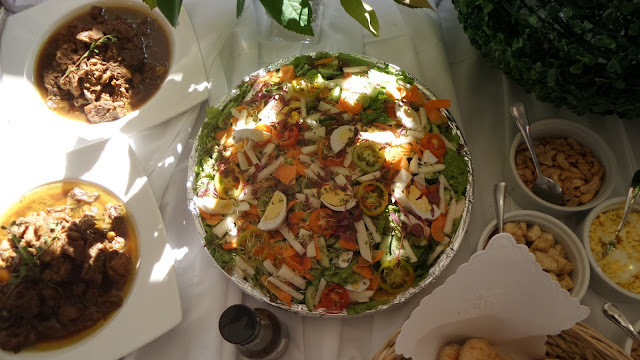 Let me also tell you how everyone raved about Puto Bumbong, it seemed that Christmas season rewinded for a bit for us, most of us had this as an appetizer, I guess that's just how we are. 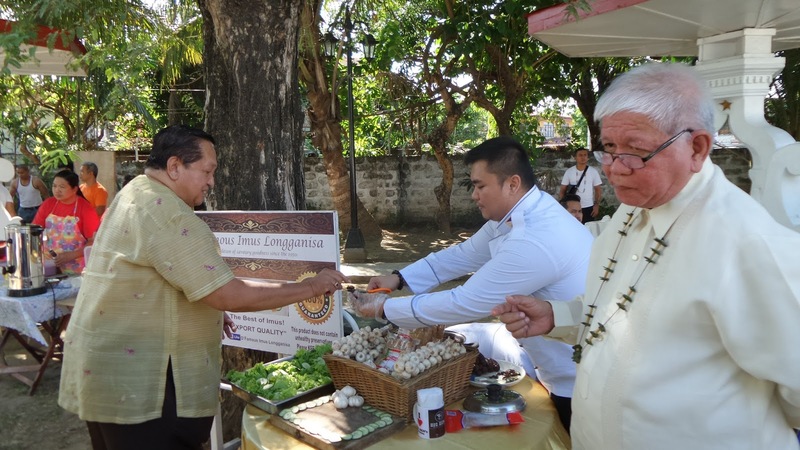 Don Conrado "Ado" Escudero, owner of Villa Escudero trying out some Imus Longanisa. 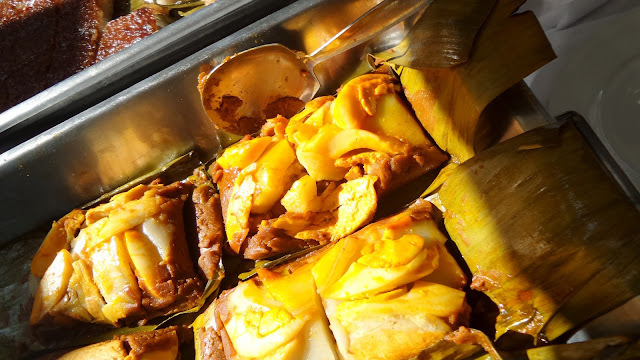 I also had one of these Tamales from Robinson's Tamales, which you can find in Cavite City. 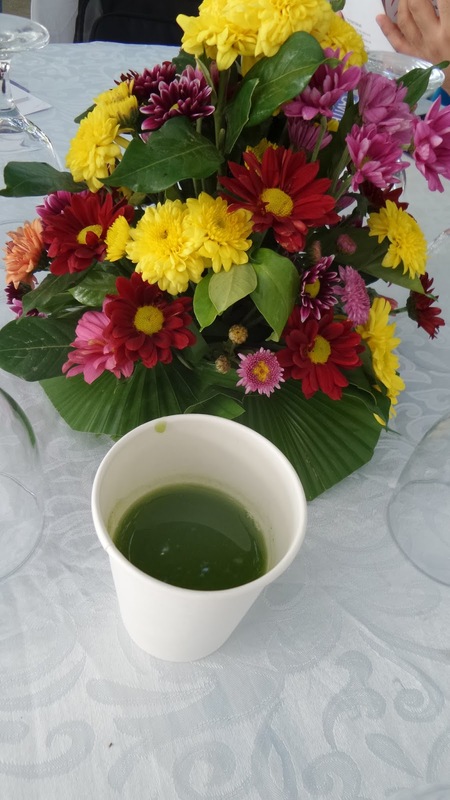 Stoked to see organic veggies from Nurture Wellness Village and they gave away cups of fresh Kale and pineapple juice. One of Quezon's finest is Lakan Lambanog, and sample concoctions were available for us to try. 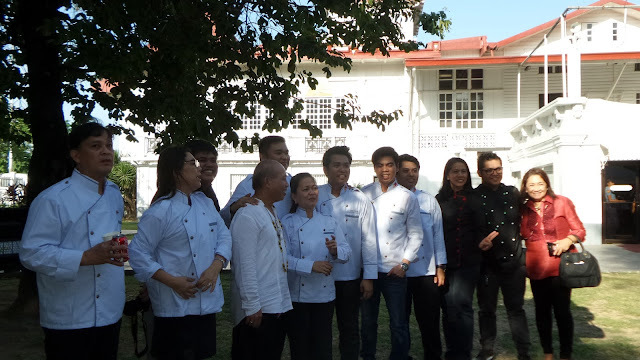 The who's who in the Philippine culinary world was present together with the media. 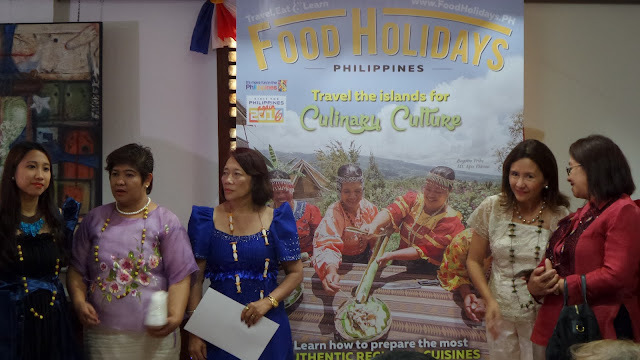 It was also my first time to hear about the country's Culinary Generals which included Chef Christopher Carangian of Razorchef Phils., we were also able to savor some dishes reminiscent of CALABARZON’s food history and its contribution to the Galleon Trade. 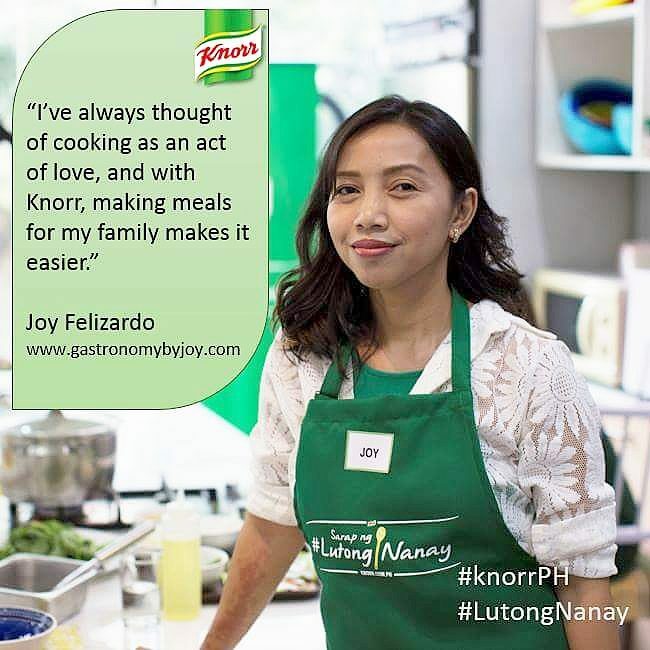 To check out more about Razorchef Philippines and their advocacy kindly visit their Facebook page. 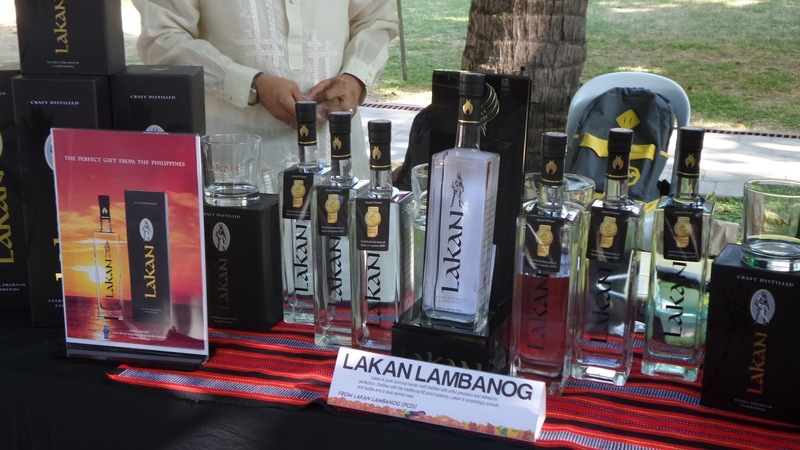 Part of the program is to showcase the art of drinking the Quezonian way, were chivalry, singing and fun were well-incorporated to the traditional act, disproving the norms of drinking sessions we knew. On the video above you can see such poetry in the manner of serving lambanog or coco wine to each of the guests. This is just one of DOT's food tourism campaign which we Filipinos can be proud of. With that I'm sure you're dying to get a copy and start your own food journey around our country. A copy is only P 498 and can be delivered conveniently at your doorstep by contacting the cellphone number 0918-897-4670 or email FoodHolidays@colors.ph.